Genome, Chromosome, DNA all refer to our Genetic material and make us unique. DNA or Deoxyribo Nucleic Acid are molecules that are building entities of the genetic material present in an organism- a plant, a dog or a human being. These DNA molecules form long chains and then termed as a chromosome. A human chromosome may have 30 million DNA units in a chain. The Genome is referred to all of these chromosomes being together, i.e., all the genetic material in an organism. Genome analysis or sequencing relates to finding out the order of DNA nucleotides in a genome-i.e. makeup of an organism's DNA. A Human DNA is made up of over 3 billion of these genetic letters. Just like in astrology, predictions are made about career, life and health based on birth date, time, location (Lat. and Long. ), Lagna, Dasha, Nakshatra, similarly using the whole genomic sequencing we can understand the heritability and predisposition of certain diseases, drug and treatment effectiveness, etc. Different genes are associated with diseases and hence knowing more about your genes and gene variants can help us study the associated disorders and their predisposition better. I was excited about this new science and was a witness to some significant research in this area. My family used Mapmygenome for our Genome sequencing. 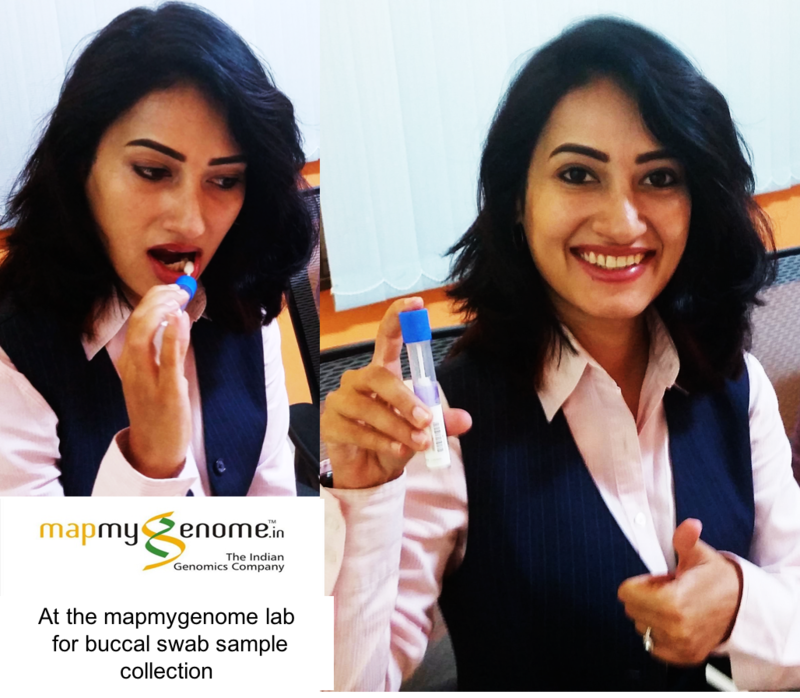 As it is still a new concept for Indians, mapmygenome provided full support regarding briefing with regards to the process, the significance of genomic sequencing and expected results. Mapmygenome has some real reputable names in their clientele already. The sample collection was relatively straightforward. We were asked to provide a buccal swab that took ten minutes only. It was collected in a test tube and was sent to the lab for DNA extraction and further processing. During the next 10 days, I received timely updates on my email and phone throughout the process when the sample was received and was going through the process of extraction and wet lab process and also when counseling was scheduled. Mapmygenome genetic counselors counseled us individually for over an hour helping us understand our reports better. Very exciting a process- must say! Worth investing and the counseling was the best part. My sister recently got diagnosed with idiopathic dermatitis herpetiformis and anemia, and the doctors were not able to concur on the diagnosis. She kept visiting Gynecologists for hormonal imbalance, Dermatologists, and Gastroenterologists regarding her food intolerances but was treated symptomatically. Her situation was getting worse, and she decided to get in touch with the genetic counselor again along with the doctor the genetic counselor suggested on request. Based on genetic linkage (HLA DQ2 or HLA DQ8) now she is diagnosed with coeliac diseases and since last eight months, she is maintaining a gluten free diet. Her symptoms have subsided, and quality of life has significantly improved :) I am more hopeful now because if Genetic testing can give you the lowdown on you or your family's chances of developing celiac disease, it can do much more in the areas of prevention and personalized healthcare. Knowing of a particular genetic predisposition could be a powerful tool for preventative medicine. Depending on the disease, specific drugs or behavioral modifications like diet or exercise could be prescribed to their patients early on hence reducing and managing the impact of those diseases later in life. With the recent advancement in computing, and popularity of cloud there is a realistic hope that sooner we will be able to tease out these elusive genetic markers with biologists who can shed light on what those genes do.